Watching all the movies on the Warner Bros. 50-movie box set that I bought for cheap. 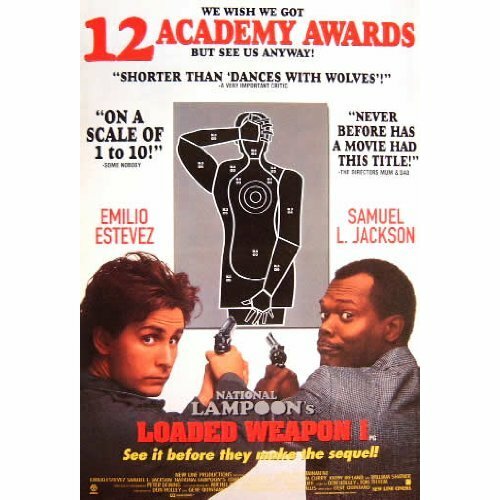 This week the random number generator landed on 1987’s Lethal Weapon. Cue the saxophone and twangy guitar soundtrack! 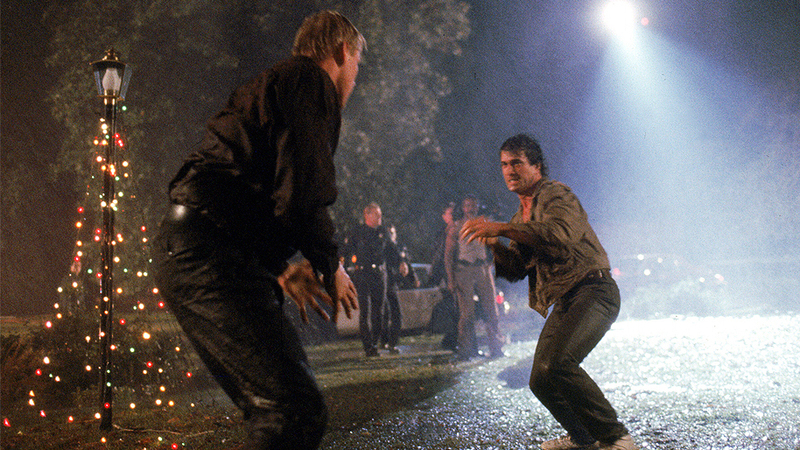 Here’s what happens: Two cops. Murtaugh is a family man who prefers staying out of trouble. Riggs is unhinged and suicidal following the death of his wife, throwing himself into danger whenever he can. These two are now mismatched partners! Upon investigating what appears to be a routine drug overdose, our heroes end up uncovering a city-wide conspiracy of former military men turned drug-runners. 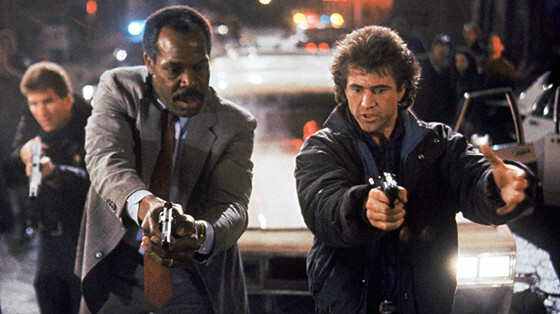 Why it’s famous: Teaming up Mel Gibson and Danny Glover for awesome action, and a sharp-witted screenplay that helped put writer Shane Black on the map. 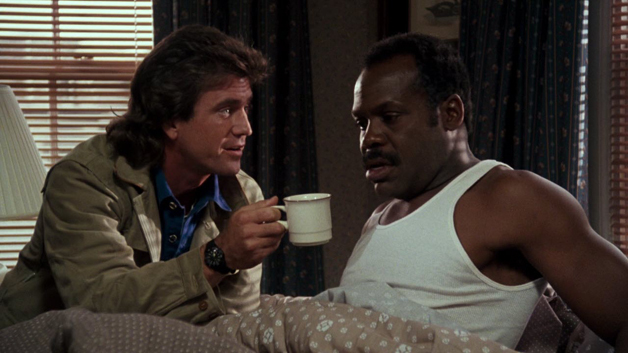 Get your film degree: Lethal Weapon didn’t invent the “buddy cop” action formula, but it certainly popularized it. The movie’s influences are all over the place, such as classic film noir, post-Vietnam angst, and, of course, ‘80s action cinema. Movie geekishness: We all know how the movie features the tropes of writer Shane Black — wisecracking tough guys, gritty Los Angeles, ironic use of Christmas — but it also has a lot of what we’ve come to expect from Mel Gibson — weird fascination with torture, overall bug-eyed craziness. 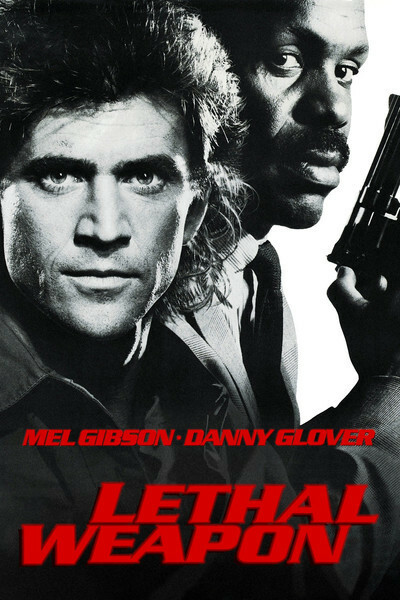 Thoughts upon this viewing: Lethal Weapon is dated in a lot of ways, and the serious scenes are too serious for their own good, but the fights and chases still hold up in that good ol’ 1980s style. Next week: I saw it in the window, and I just had to have it.